Friday November 3rd at the Blue Loon. 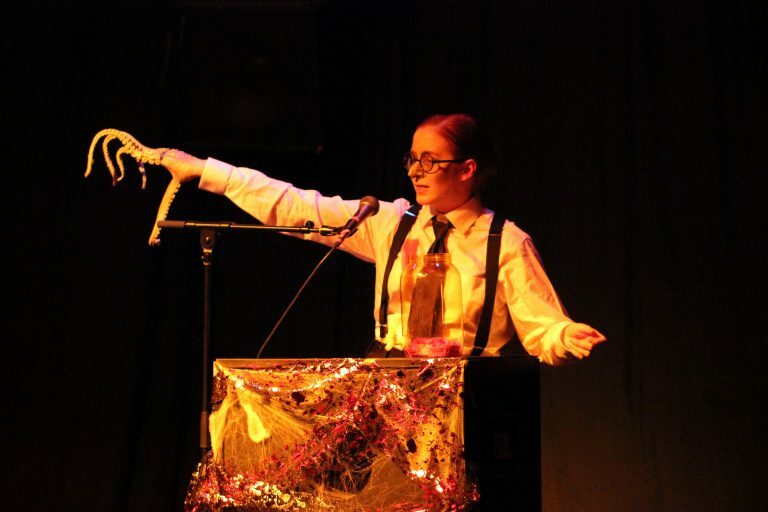 Come dressed as your favorite dead writer and read from their work. There will be prizes! There will be fun! Must be 21 or over. 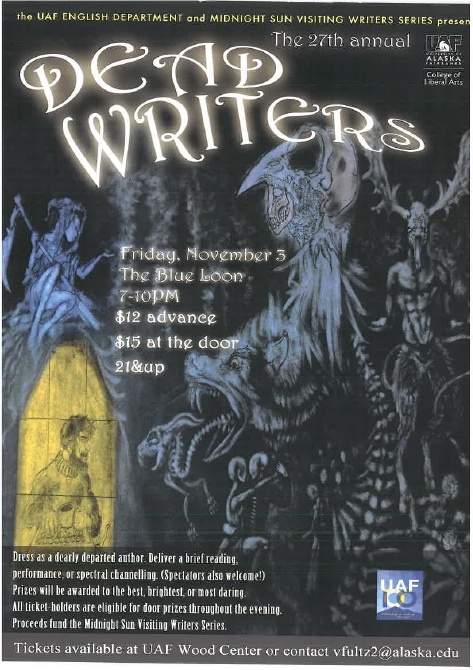 Hosted by the University of Alaska Fairbanks, this reading series brings a number of writers of national significance to Alaska for readings, lectures, and individual meetings with local aspiring writers.